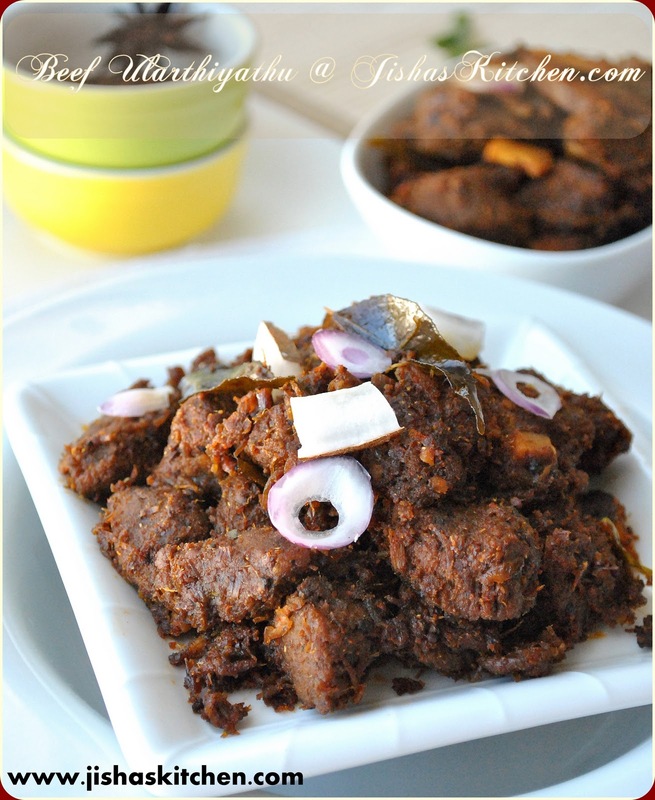 Today I am sharing the recipe of one of my favorite dishes " Spicy Beef Ularthiyathu / Spicy Beef Roast ". Two days back, I talked to one of my college mates "S" who recently moved to US. Now a days we talk a lot on phone and mostly our discussion will be about "food and cooking". She recently got married and she used to tell me about her experiments in cooking and all. So in our last chat our main topic of discussion was about "Beef Ularthiyathu" and I thought of making it as soon as possible. Toddy shops and Thattukadas back in Kerala are famous for many face-melting dishes, beef ularthiyathu is very famous among them. I remember watching the television series " Gordon 's great escape" presented by the chef Gordon Ramsay some time back and in an episode Gordon visits one of the toddy shops somewhere in Alappuzha and he tastes toddy along with spicy beef roast and that one bite of beef roast almost melted his face off. First grind cinnamon sticks, cardamom, cloves, bay leaves, pepper corns and fennel seeds to a coarse powder. Then wash the beef and cut it into small sized cubes and drain it nicely.Then marinate the beef pieces with vinegar, turmeric powder, chopped ginger, chopped garlic, 1 stem curry leaves, half of the ground spices, 1 tbsp coriander powder, 1 tbsp red chilly powder and salt. No need to add water. Then keep it aside for 15-30 minutes. Then pressure cook the marinated beef pieces for about 2-3 whistles without adding any water. Then heat 1/4 cup of oil in a pan and add thinly sliced coconut pieces and fry in a low flame till it becomes light brown in color and keep it aside. Then in the remaining oil add mustard seeds. When it crackles add chopped shallots and onions, green chillies and 1 stem curry leaves and saute in a medium flame till the onions turn light brown in color. Then lower the flame and add 1/2 tbsp - 1 tbsp red chilly powder, 2 tbsp coriander powder and the remaining ground spice mixture and fry till the powder turns dark in color. Then add cooked beef and mix it nicely. Then in a medium flame keep on stirring until the beef pieces become dry and brown in color. It may take about 10-15 minutes. In between add oil if needed. Then finally mix sliced coconut pieces and remove from the flame. 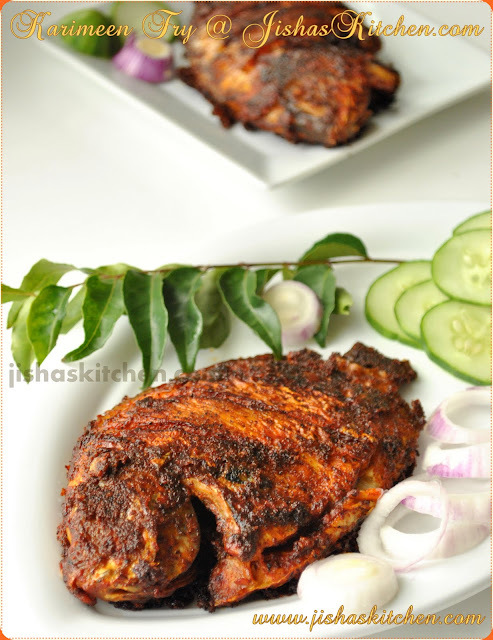 Recipe adapted from a cook book of Mrs K M Mathew. looks absolutely awesome !very tempting ! Adipoli beef ularhiyathu,spicy and delicious..perfectly made. Looks very very hot and yumm..
Adipoli beef ularthiyathu, veggie aya enne pol tempt cheyikkumu. 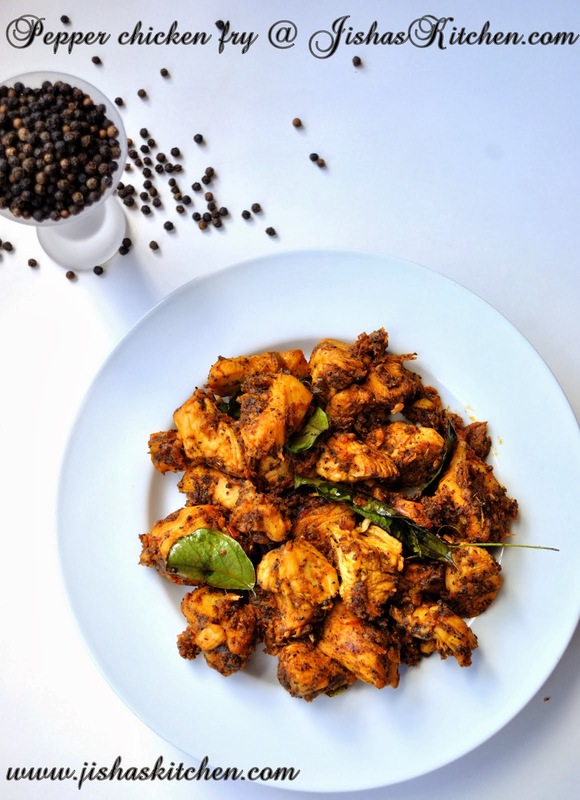 Thank you very much indeed for your lovely comments on my blog:)I'm following your blog sometime now and really inspired with the Kerala dishes.Love all your post and clicks are awesome dear. Ethipol beef kazhikathavare polum kothypichallo, adipoli color tto.. 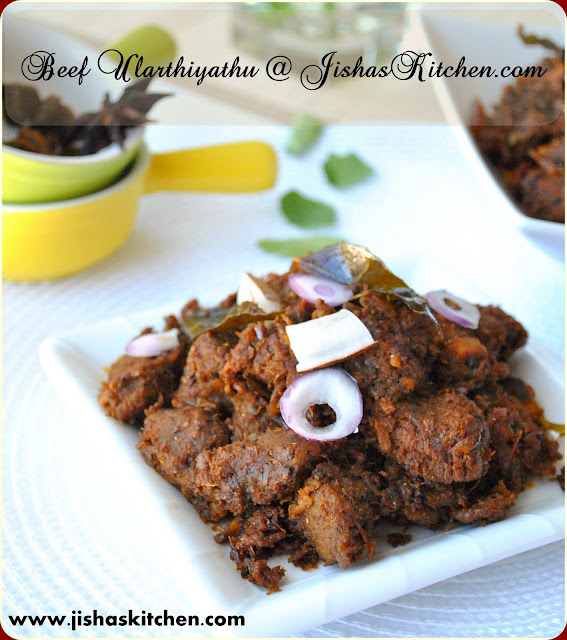 Perfect looking beef fry Jisha! Really tempting..
Buena receta me encantó y preciosas fotos,abrazos.